I'm fishing a tricky history water that has no winter form yet all winter I have still made the trip down on my one night a week I get to fish and tried my luck. Turning up in the dark after work is always a nightmare but none more so than on the 1st of December when I arrived at the lake to find my tyre was punctured on the barrow. On this occasion I had in my mind two areas that I might stand a chance in but the puncture decided for me that of the two, the one nearest the carpark would be the best choice. 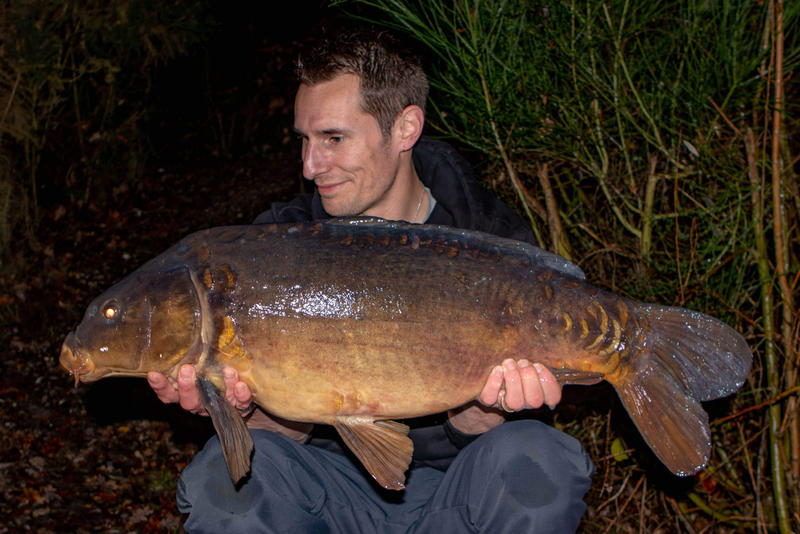 I managed a 24lb 4oz mirror that evening at 10.30pm which was the first carp from the lake since the start of October and just goes to show that sometimes you earn your luck. 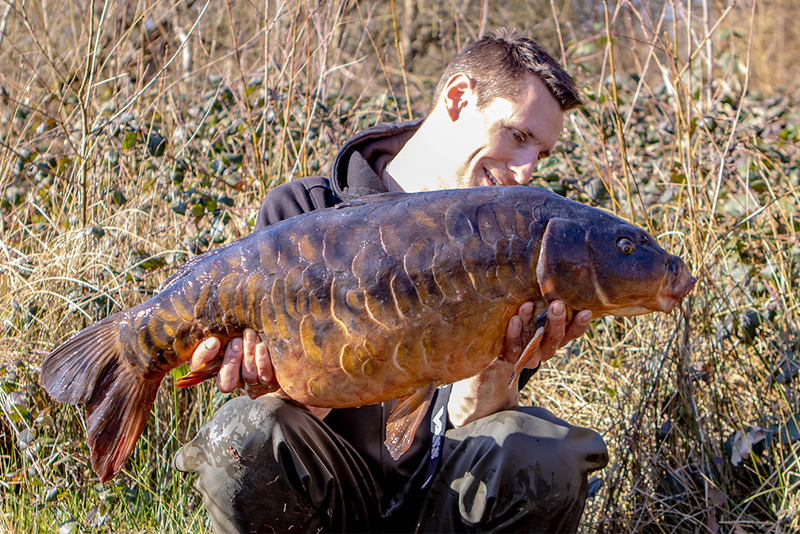 Again, I continued to go down on my weekly trip, fishing different areas and having a good look around as I left the following morning as this was the only time I saw daylight on the lake during this time but the carp were nowhere to be seen. I spooked what I'm sure was a carp near a snag on one such occasion so I fished that area over the next weeks but again, nothing. Fast forward to February and knowing the temperatures were due to rise, I made the effort each night for the last week to go down after putting my daughter to bed and bait a few areas ready for my next trip. The night time temperatures were still cold but with day temperatures set to rise into the high teens, I needed to think carefully about where to fish. We are expecting our second child in one week so being that this would be my last trip for a few weeks, I managed to talk the wife into letting me do the night as usual but stay until 4pm. 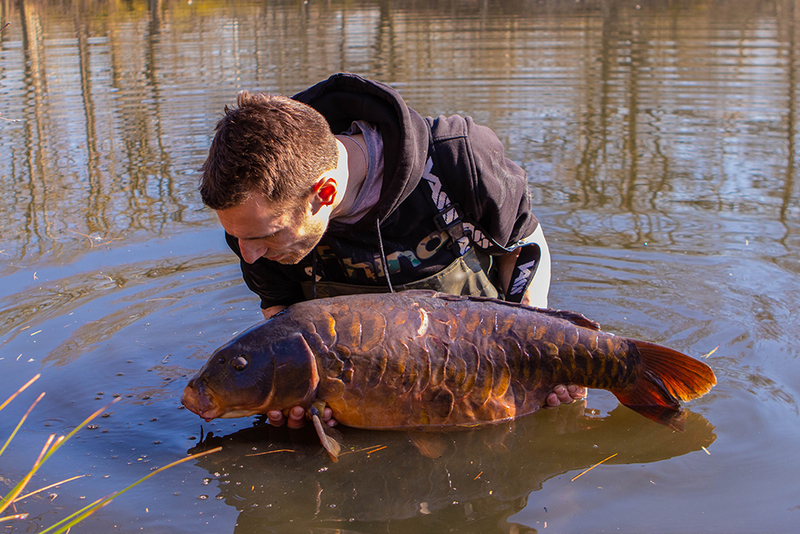 Harsh early spring lighting and cracking mirror! I pulled out all the stops, leaving work early to get to the lake at just after 2pm and spent the next hour walking and looking. Now this is an old silty lake with dark water and the fish can be very hard to spot unless they are on the surface so with nothing solid to really go on, I plotted up in an area that receives most of the days sun with snags nearby and where I know the carp like in the warmer weather. This is one of the areas I baited so I felt like I had a chance. 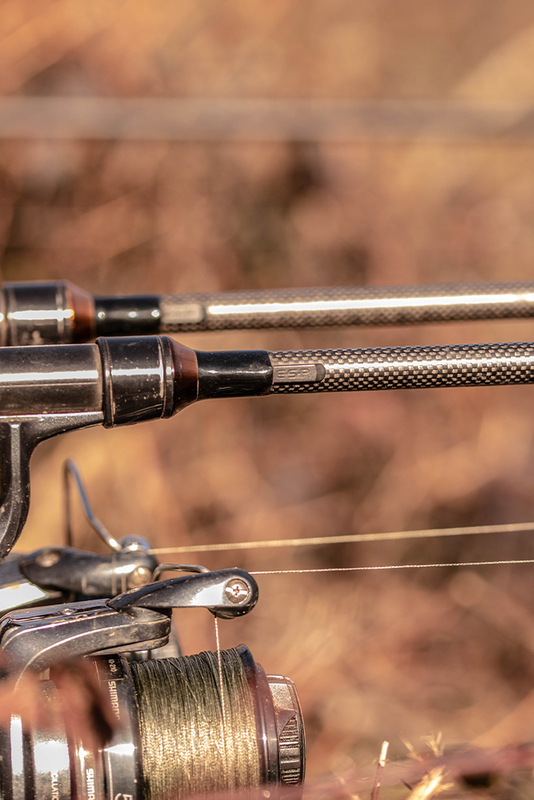 The rods were already rigged up with Multirigs made of Tungsten Loaded with a size 4 Cryogen Curve Shanx hook so I just sharpened the hooks up and went about attaching a bait. I had been prebaiting with Mainline's The Link but like an idiot I hadn't picked up the matching wafters so I had to drill out bottom baits and plug them with cork. Onthe first rod I topped the plugged boilie with a Mainline topper in yellow and on the other rod I wanted to leave it natural but I was worried about fish seeing the cork plug and sussing me so I cut a slice off of the top of another boilie and put it over the top like a little top hat! After a very cold night, the day began to warm and I had told the wife I might have a chance around midday. All morning I watched two coots diving on me and I had to reposition the right rod (with the yellow topper) but then at 11.20am I was watching the water and saw my line on the left rod pick up in the water. Straight away I thought coot, but there wasn't one and now my line was starting to cut across further left so I picked up the rod and wound the fish in to the margin without any fuss where I was able to see that not only was it a carp but a good one too!